Brewed by the billionaire friends of Donald Trump & his Republican cronies! Josephsbrau, Black Toad Ale, and Stockyard Oatmeal Stout are sold at Trader Joe’s and are brewed by the Gordon Biersch Brewing Company in San Jose, CA. The principals in the brewery include major Trump Victory Joint Fundraising Committee funders, which helped propel into power political leaders who attack immigrants, women, the environment, LGBTQIA+ communities, and working families. Buying these beers means you are lining the pockets of major funders of the Trump Victory Committee. DON’T HELP THEM DIVIDE & ATTACK OUR COMMUNITIES! Tell Trader Joe’s to stop selling these beers! 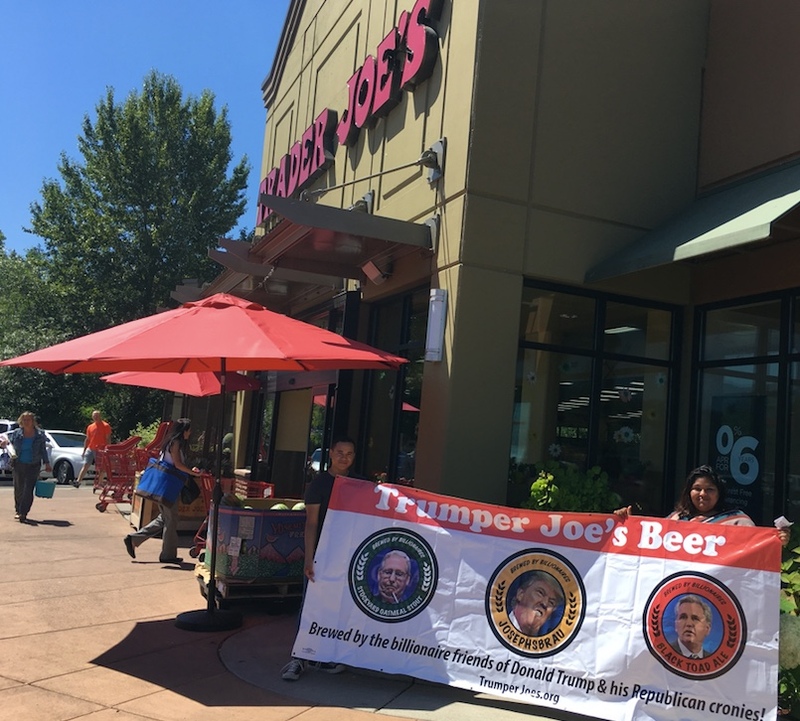 Call Trader Joe’s corporate headquarters at (626) 599-3700 to tell CEO Dan Bane to stop selling beer brewed by the backers of Donald Trump and his Republican cronies!